Kaya Mawa introduces the newly built Ndomo House, ideal for those wanting complete privacy from the outside world, a great family home or a magical escape for two. Set on the South West corner of the island with uninterrupted views across the lake and mesmerizing sunsets. Inspired by travels through Africa & India and to exotic African islands, the house design evolved. This barefoot luxury beach house is fully staffed with nanny, cook and housekeeper and comprises of four bedrooms, living room, kitchen and expansive decks and terraces, with its own swimming pool and secluded beach. 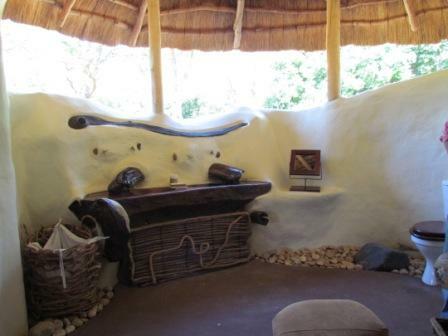 Ndomo benefits from all the facilities and activities that Kaya Mawa has to offer, with a boat and vehicle at disposal. Likoma Island provides a unique combination of true African culture and laid back beach life. Perfect to wind down after a safari or a destination in itself. 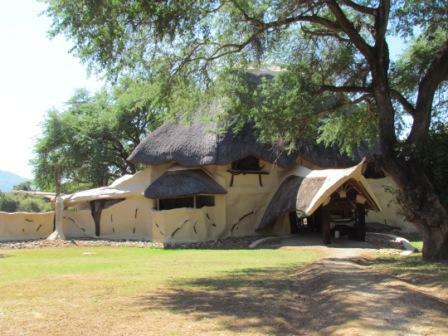 Chongwe River House is a spectacular private home, individually designed with four spacious bedrooms, dining and lounge, private pool and large verandah. 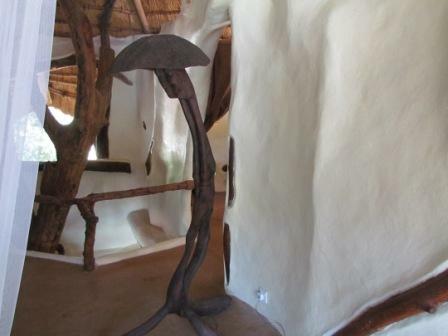 Winner of “Best Safari House in Africa” at the 2011 Good Safari Guide Awards. 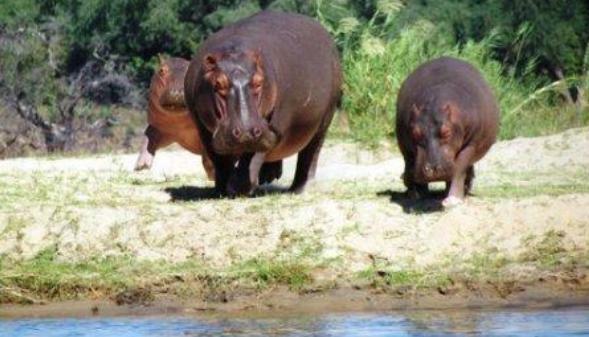 The Lower Zambezi is renowned for its magnificent wildlife and the Zambezi River. 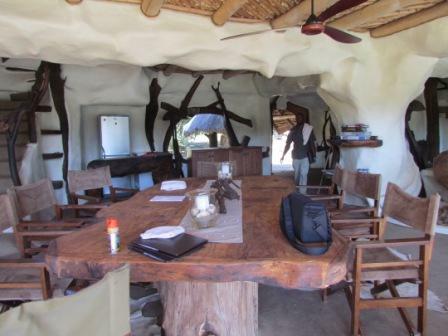 To tailor a private safari, the house is fully staffed with private guide, chef and house manager. 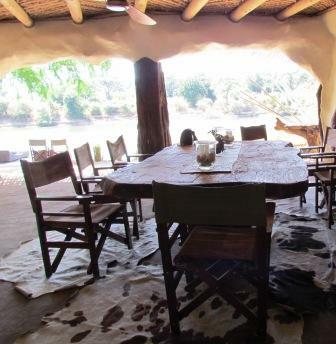 An ideal base for a family or group of friends seeking a private safari experience. 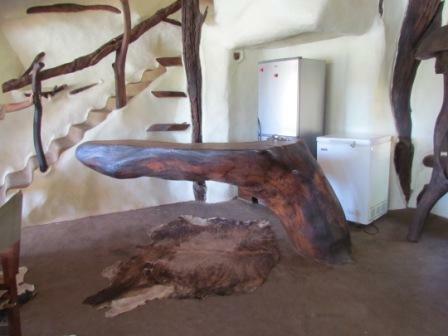 Designed by Neil Rocher, this stunning private house is situated on Robin Pope’s Nkwali land, approximately 1 km from camp. The super structure of the house is twenty five ancient and weathered leadwood trees – powerful and natural. The entrance side of the house is grand, castlesque and is exquisitely faced with stones from the hills. The massive pivot door opens into the huge main room and instantly you see incredible views through the front of the house – which is completely open. 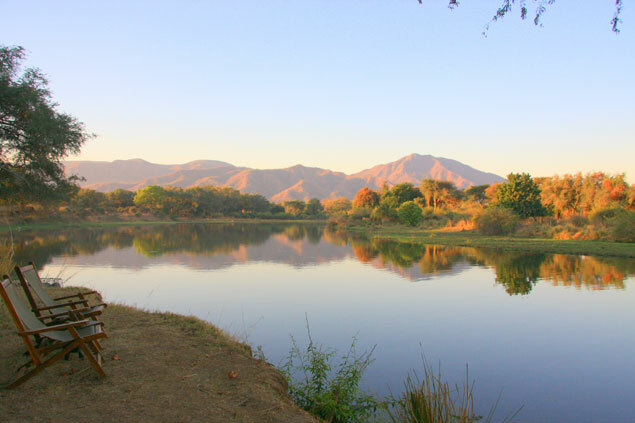 Built on the edge of a seasonal lagoon and with a backdrop of the Chindeni Hills, the game, including herds of elephants and journeys of giraffe, use this area to feed and water throughout the day. 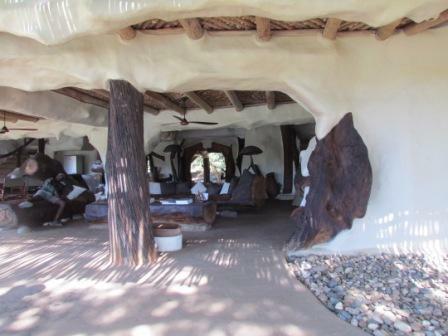 During the dryer months you can be lunching on the deck with up to forty elephants around you. So outwardly the house has a traditional feel. However, venture inside and you find that each room has a totally individual and unique style. The sizeable living room is dominated by large comfy sofas and a huge marble dining table. 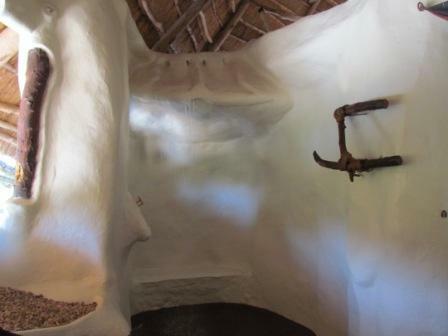 The room stretches up two storey’s, some twelve meters, to the thatched roof with wooden staircases rising out of the floor to take you to the upstairs bedrooms. Much of the fittings are handmade metalwork, designed by Matt Peacock, including a huge thirty lamp metal chandelier. The open front of the room leads out onto a quartz tiled terrace with large plunge pool to one side. From this terrace a magnificent risen walkway leads to a wooden deck surrounding a small group of huge ebony trees in the middle of the lagoon. There is a large leather sofa, and a hanging chair plus dining table and chairs for al fresco meals. 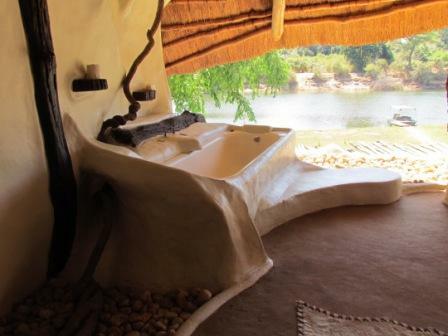 The waterhole only meters from the deck and sitting quietly you will be close to families of elephant that come to bathe. Each of the four bedrooms has a style of its own. Extra large beds, both king size or twin fit into each room under one mosquito net. There is a wooden ceiling fan inside each net. The beds have all been designed differently, from two poster beds to raised futon style. 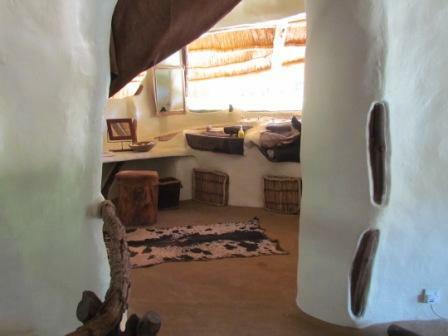 The materials used in the bedrooms are hand painted and specifically designed, made locally at Tribal Textiles. 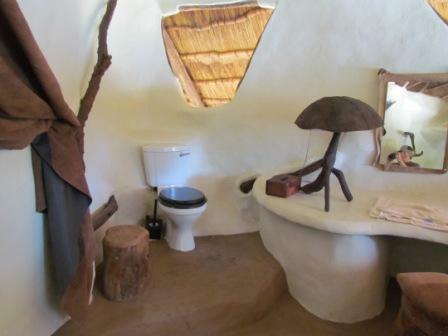 Each bathroom has a different theme for the fittings, reflecting the colours of the rooms. The upstairs rooms have a suspended wooden balcony, where you can sit out at night with a moonlit view over the bush to the distant hills. The downstairs bedrooms each have a private tiled verandah with large morris chairs for quiet moments. 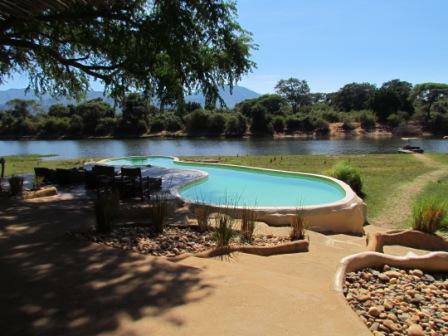 Luxurious family home with private river frontage and magnificent views of the Zambezi River. 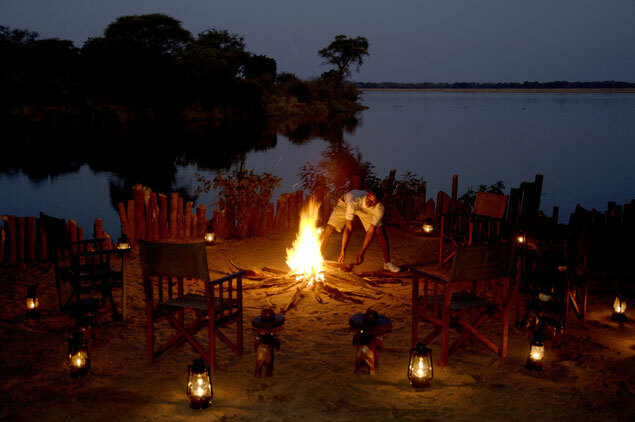 Tangala is superbly located on the banks of the Zambezi, close to Tongabezi and 15km upstream of Victoria Falls. The stylish four bedroom house has a selection of spacious living areas and a private pool. Previously featured in UK “House and Garden” magazine, the house is fully equipped with a vehicle and boat and staffed with a chef, waiters and private guide. After Tongabezi’s recent renovations to the Garden cottage, it earned a new status to become their latest House addition. The Garden House has two bedrooms with private pool and garden. Not only has the structure received the benefit of a design that is geared towards families travelling together, but the service is backed up with a fabulous range of activities and meals created specifically for children.